EU Athletes, the European federation of independent athlete unions and associations from different sports, representing more than 25 000 individual athletes, has released the newest Common Position Paper developed and agreed by its members. A working group composed by EU Athletes members and supported by staff was created to submit a new Draft Common Position Paper that could be discussed and amended during the last General Assembly that took place in Lisbon in June 2018. The new Common Position Paper aims to articulate European athletes’ voice on key topics such as athlete rights, good governance, economic dimension of sport, match-fixing, anti-doping, personal development and cooperation with other stakeholders. 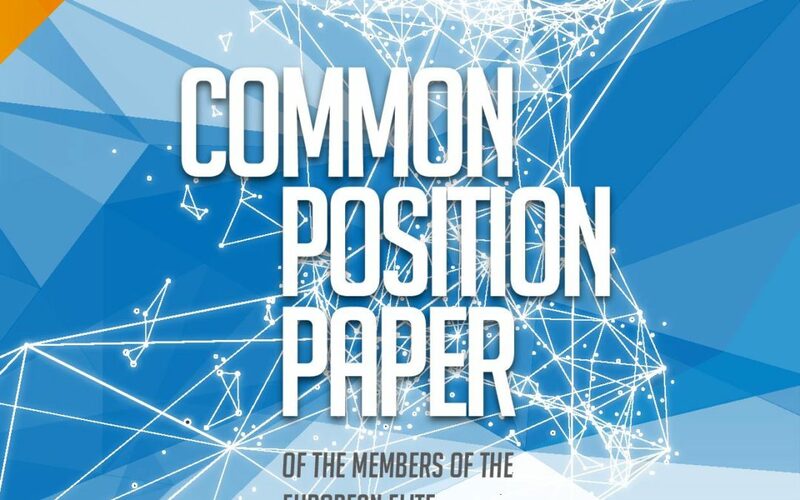 The new Common Position Paper takes into accounts recent developments and issues, formulating clear proposals and recommendations directed at European institutions, Member States and sport organizations. 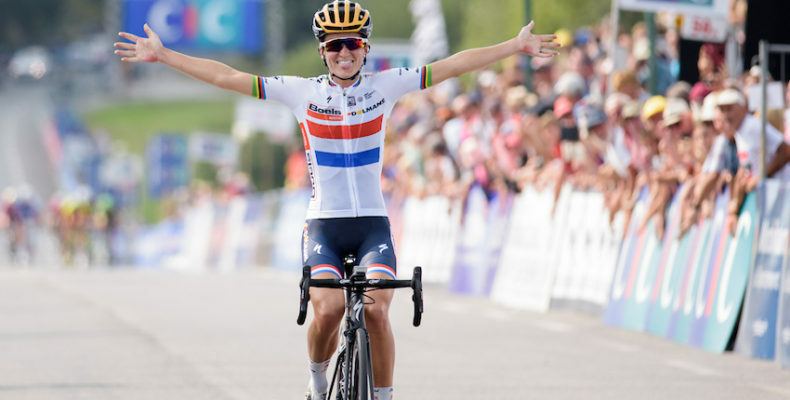 The Cyclists’ Alliance is pleased that the UCI has continued down a path of reform and improvement in women’s elite cycling, starting in 2020. New contract minimum standards, including maternity leave and a starting point for a Women’s WorldTour minimum salary, are important next steps in the evolution of our sport. Our model contract, which is available to our members to help you in your own contract negotiations, was drafted to contain many common protections available in other professional sports. Maternity leave is actually a critical protection for working women everywhere, but this is the first time women in cycling will have such a safety net. As written by Frattini, Slappendel “advocated for maternity leave and insurance surrounding maternity. It’s been a big topic of discussion because there are people who find it difficult to understand, who feel that an athlete should not become pregnant because it is a cost to the team.” However, as women are having longer careers in the sport, and returning to race after having children, women’s cycling is overdue for maternity rights. As we have shared before, you should not have to sacrifice your career for your family, and as our sport modernizes and listens to its riders, you may not have to. The other major announcement of a 15,000 EUR starting salary for WWT team riders is also encouraging. While the UCI has stated a target to eventually match the standard of Men’s Continental salaries (30,000 EUR), we will continue to lobby the UCI and work with all of the teams throughout our sport to find the right salary for the economics in women’s cycling. We hope to eventually negotiate directly with any future association of our teams and create a Collective Bargaining Agreement for a minimum salary. In the meanwhile, only the WWT teams will be required to offer a minimum salary, which may create inequity in the sport in the short term. However, as women’s cycling gains popularity, we will continue to work with stakeholders to improve the economics and create better salary conditions for everyone, in all of our racing disciplines, for our teammates and professional staff alike. The original article from EU Athletes member, the Cyclists Alliance can be found here. EU Athletes representation, composed of Paulina Tomczyk (General Secretary), Vasilis Minoudis (HPVPA) and Stijn Boeykens (ACV Sporta) was hosted by the Vollayball Leagues Association (VLA) during its meeting in Athens, Greece, on the 11th of September 2018. VLA was set up earlier this year and brings together national volleyball leagues from Belgium, France, Italy, Germany, Greece and Poland. EU Athletes represents a number of volleyball players unions and associations and is favorable of having a constructive relationship with the employers organizations and working on enhancing its representation and involvement in volleyball at the same time. For Paulina Tomczyk: “Social dialogue at the European level would surely be beneficial to the sport of volleyball in Europe and the players that EU Athletes represents. It offers a possibility to shape common standards and address problems related to working conditions in a participative way, where interests of stakeholders can be properly represented”. During the meeting, VLA and EU Athletes agreed to work together to set a framework for collaboration. Official agreement will be defined and concluded after the formal approval from both organizations. Five precise topics have been already brought up, such as contracts, non-EU players, transfers rules, regulations for players’ managers, calendars focusing on proper rest periods and health, participation of the athletes in the national teams in regards to their employment. In the framework of the European Commission funded project “European Social Dialogue targeted initiative: strengthening social dialogue in the professional basketball sector”, the meeting brought together eight female basketball players, active or retired. Players from EU Athletes’ members SNB (France), AJUB (Spain) and GIBA (Italy) as well as from Belgium and Turkey participated in the meeting. One of the main goals of the project is to support organizing in European basketball, helping establish new player unions as well as assisting the existing ones in developing and building their capacities. Specific focus on women’s basketball and gender activity was added in order to take into account specific issues faced by women athletes at work, as demonstrated by EU Athlete’s SWAFE project. The meeting was an opportunity for the participants to bring forward their concerns covering topics such as worker’s status and social security, late or non-payment of wages, maternity, dual career and need for the development of women’s game. “Talking with players from all around Europe, we are aware that their working conditions can vary greatly from one country to another. That’s why the European social dialogue is a perfect tool to work together with the employers to make sure that common minimum requirements are defined and respected. 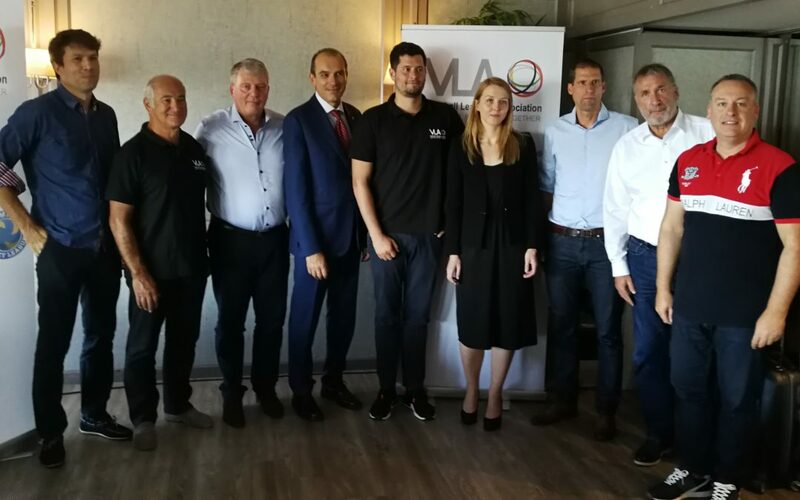 This project gives us an opportunity to further develop the representation in the sector and undertake further initiatives for the benefit of players and the sport of basketball“ said Paulina Tomczyk, EU Athletes General Secretary, who participated in the meeting. The project is coordinated by UNI Europa/World Players Association, with EU Athletes involved as associated partner, and will run for 18 months, until June 2019. Activities of the project are being developed in the cooperation with UBE and will include further meetings with players from Germany, Turkey and other European countries. Multi-time Spanish champion and 2008 Olympic medalist, Leire Olaberría, has challenged the alleged discrimination against her by the Spanish national cycling federation (RFEC). 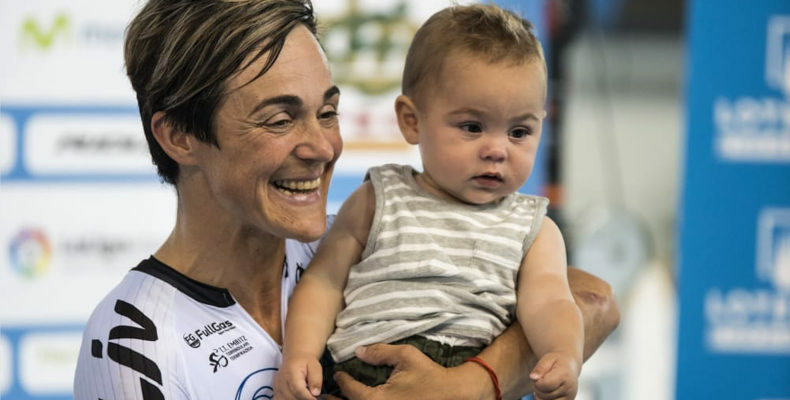 She has filed a complaint with Spain’s highest sporting authority, the National Sports Council, as well as an ethics complaint to the UCI, regarding her maternity rights. One of The Cyclists’ Alliance’s fundamental objectives is to uphold the rights of every woman to have a family and pursue a racing career, and we wholeheartedly support Olaberría’s actions. Olaberría recently became a mother for the first time, and just four months after recovering from childbirth, she resumed training and competing at the elite level. However, the RFEC placed special conditions on her participation in the national track cycling program training camp, including paying the costs for travel and care of her baby, and the costs for her partner or a nanny to help with the baby’s needs. She was selected for the European Championships at the camp, but the RFEC again demanded that she pay all costs for her baby and a caregiver to travel to the Berlin event, but since she did not have enough money in reserve, she had to decline her spot on the team. When Olaberría spoke up against these demands, the national team stated that she was in violation of team behavior and disregarded the superior authority of her team manager. Olaberría was eventually excluded from the national team altogether, despite the absence of any documentation of this alleged behavior, nor any record of a disciplinary action by the team against her. Since then, Olaberría has demonstrated that she is still among the world’s top track racers by earning a significant amount of UCI points in other international events, while competing with the help of a small team she organized around her. The Association for Women in Professional Sport (AMDP), an organization for the advancement of all Spanish women in sport (including athletes, trainers and technicians, coaches, and journalists), has brought her case forward under the umbrella of Spain’s Equal Rights law, which also has specific provisions for the rights of women in sport. Specifically, the AMDP is asserting that the actions of the Spanish Federation are damaging Olaberría’s sporting career due to its discriminatory treatment of her. When Olaberría was asked to compete for the national team, it was because of her excellent results; but when she asked for provisions to accommodate her baby (which is her right under Spanish law), the team allegedly began to treat her unfairly. Olaberría’s case is just beginning, but fundamentally it is about the rights of women as athletes and as women in society. The Cyclists’ Alliance will work with our partners in athlete rights, including EU Athletes and the World Players Association, to help factually and lawfully present Olaberría’s case to the appropriate sporting bodies if possible. We have already made strides with the UCI to introduce better treatment, and the Alliance will continue to press for maternity rights as a fundamental standard condition in our contracts with our teams at every level, and in every discipline, of our sport. Motherhood should not restrict your choices and trajectory as a professional cyclist. Having a child may be a defining moment in your life, but it is not the end of your sporting career. Many women racing today have started families, and some, like former world champion Lizzie Deignan, have made their intentions clear that motherhood will make them stronger and even more determined competitors in the future. If you have questions about your maternity rights as a cyclist and as a working professional in sport, please don’t hesitate to contact a board member of the Alliance today. We can help you to find your country’s labor and discrimination laws, and to help you understand your rights to build a family while also building a successful bicycle racing career. EU Athletes supports FNASS (Fédération nationale des associations et syndicats de sportifs) and our French affiliates UNFP (football), SNB (basketball), PROVALE (rugby) and AJPH (handball), protesting the changes in the law which extends the duration of the first professional contract for athletes. By introducing the amendment in the law on vocational training (formation professionnelle) which affects the sport law, the deputes supported by the Sport Minister’s cabinet, have responded to wishes of sport organizations’ officials (especially those in football) who wants to keep the young players in their clubs as long as possible. It could effectively restrict player’s right to work and prevent them from developing their professional careers. As FNASS points out, there are no other reasons for this change except for financial ones. It puts all the players in the same category, without taking into account the specificities present in different sports. Even if football is being targeted, the harmful effects will touch all the sports represented in FNASS as well as the other ones. FNASS demands the withdrawal of the amendment, which wouldn’t have improved the conditions of training of athletes in France or their status. It would only allow certain entities to make more gains, with a breach of athletes’ commercial freedom and without thinking about their future.